Solbiate Olona (VA), 27th June 2017 - Today a Disaster Relief Operations Study Day took place in the premises of the Ugo Mara barracks. Successful disaster relief missions are characterised by the ability of professionals to cope with time pressure, high uncertainty and unusual restrictions. 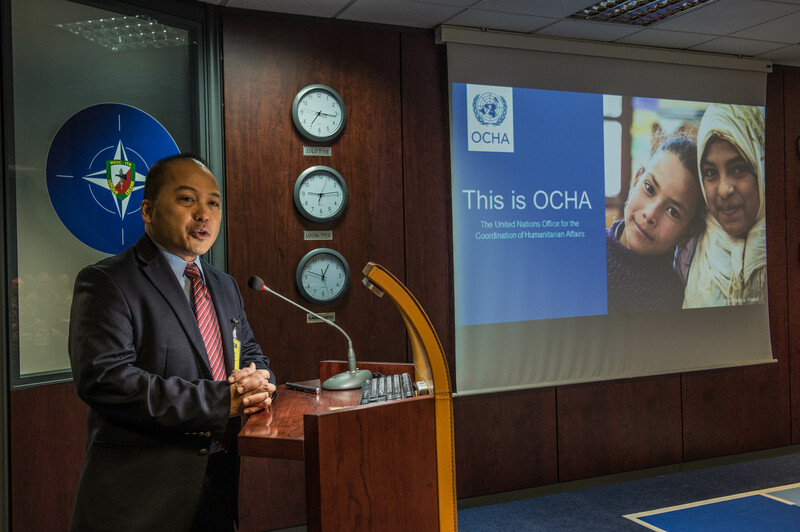 The event has been designed as an introduction to the coordination and management of humanitarian aid and emergency response logistics. A subject matter expert of UN Office Coordinator of Humanitarian Affairs (UNOCHA) and military professionals provided lectures, shared experiences and engage themselves in productive discussions about the essential dialogue and interaction between civilian and military actors in humanitarian emergencies at strategic, operational and tactical levels in accordance with international law, standards and principles. Disaster relief operations are complex and can benefit greatly from careful planning. Improved disaster preparedness can help save lifes, reduce the suffering of survivors, and enable communities to restart normal life more quickly. 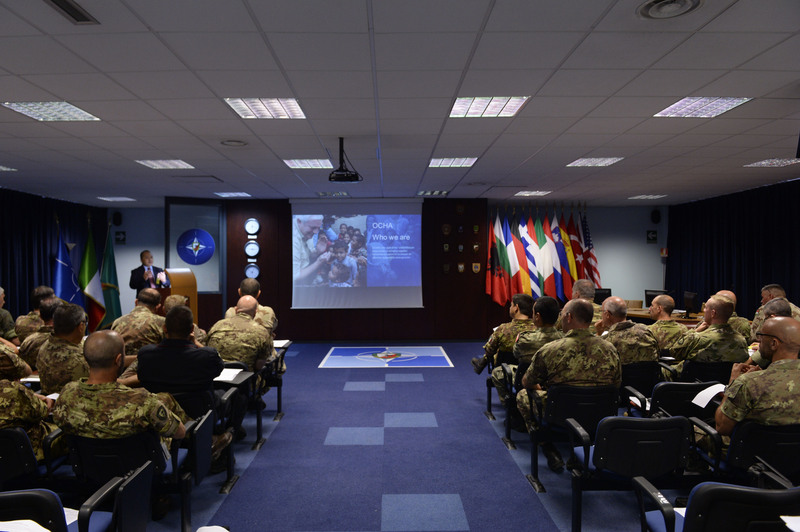 Since NATO is playing an humanitarian role in disaster response, it has become paramount the consequent need of a proper understanding of each other’s role and the effective coordination with humanitarian agencies and NGOs. 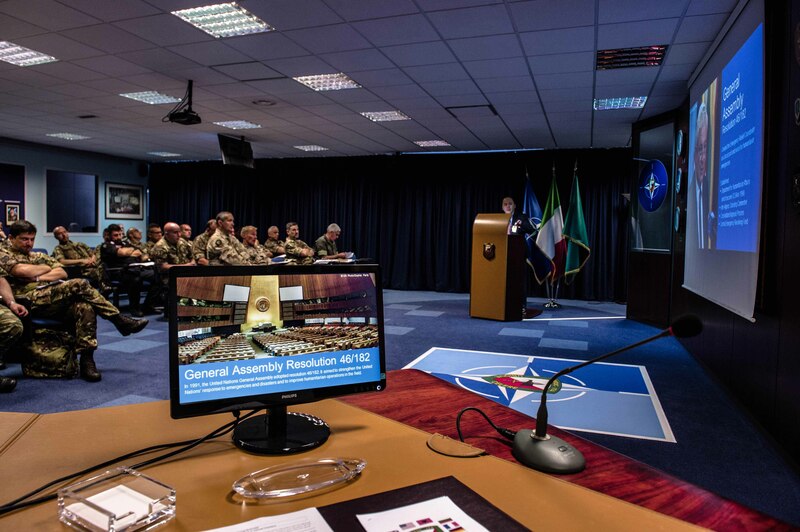 This study day educated Nrdc-ita staff in the principles of disaster relief operations planning and execution, taking into account the Combat Readiness Evaluation (CREVAL ) for the preparation program of Nrdc-ita for its role as NATO Land Component Command for 2018.